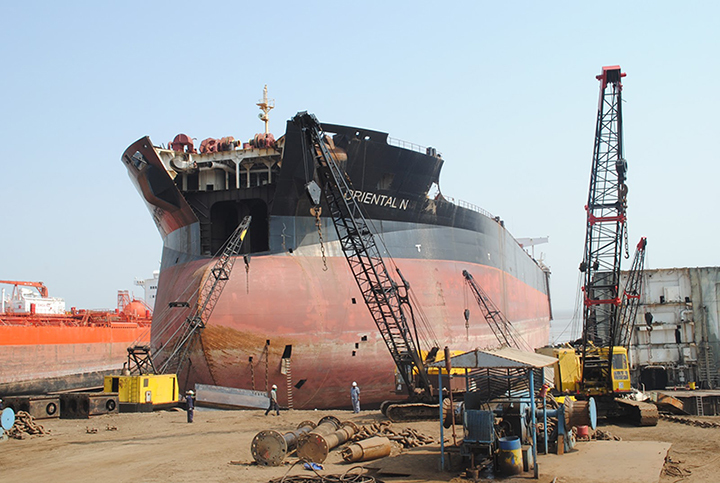 After the Big Spill, What Happened to the Ship Exxon Valdez? 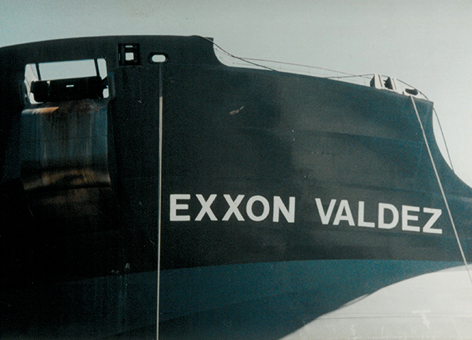 The last days of the Exxon Valdez: in the San Diego shipyard before the first name change. Photo from the collection of Gary Shigenaka, NOAA. MARCH 19, 2014 -- A popular myth exists that it is bad luck to rename a boat. It is unclear whether this applies to "boats" as big as a 987-foot-long oil tanker, but it is possible that the ship originally known as the Exxon Valdez might be used to argue that the answer is "yes." LIMITATION. Notwithstanding any other law, tank vessels that have spilled more than 1,000,000 gallons of oil into the marine environment after March 22, 1989, are prohibited from operating on the navigable waters of Prince William Sound, Alaska. In 2005, the S/R Mediterranean was reflagged under the Marshall Islands after having remained a U.S.-flagged ship for 20 years (reportedly in the hopes that it eventually would have been permitted to re-enter the Alaska – U.S. West Coast – Panama route for which it had been designed). The ship's name became simply Mediterranean. Use Twitter to chat directly with NOAA marine biologist Gary Shigenaka about the Exxon Valdez and its impacts on Alaska's marine life and waters on Monday, March 24 at 3:00 p.m. Eastern. Follow the conversation at #ExxonValdez25 and get the details: http://response.restoration.noaa.gov/oil-and-chemical-spills/significant-incidents/exxon-valdez-oil-spill/tweetchat-25-years-exxon-valdez.html. 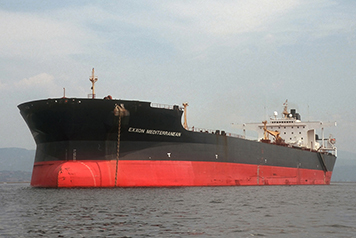 Exxon Mediterranean in Trieste, Italy, July 1991. Photo by Arki Wagner, used with permission.